Denise Davies on Competition winner's blog post on Facebook prize. This entry was posted in and tagged golf, golf courses, golf course, sunningdale, royal birkdale, royal st. george on March 6, 2018 by Miss Designer Golf. As the great thaw begins across the UK and Europe, we will be grabbing our clubs and venturing back out onto the links we have abandoned during the winter months. To celebrate the turn of the temperatures, we are doing a round up of the top golf courses across the UK, Europe and North America, starting with England. So grab your clubs and get back into the groove this Spring! 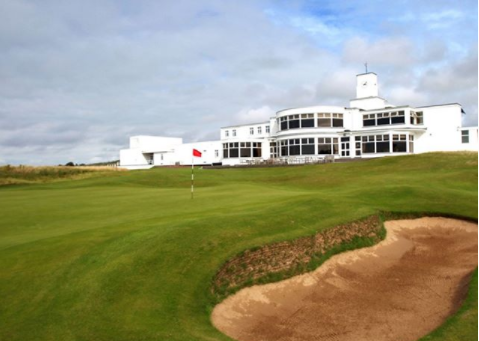 Royal Birkdale is a legendary course and has been the scene of some of golfing's most infamous moments, such as Jordan Speith's victory in the The Open Championship in 2017 and Jeong Jang's total dominance in the 2005 RICOH Women's British Open. 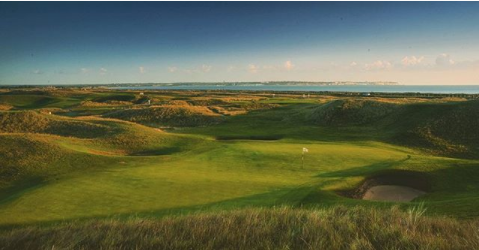 It is built in a classic links style and features incredible scenery as many of the holes run alongside the dunes. Southport is just 40 minutes north of Liverpool, so make the trip this summer for an unforgettable golfing experience on one of England's most famous courses. This course is set on the wild dunes of Sandwich in Kent. It has hosted The Open 14 times, and is truly one of England's stand out courses. The ban on female members at St. George's was only lifted in 2015, but since then it has welcomed a plethora of members and visitors through its doors. Royal St. George's was built to challenge amateurs and professionals alike, and it's dramatic natural landscape adds to the intrigue. The infamous 4th hole is particularly tricky, but the course is guaranteed to keep you on your toes for the duration of your round. Visit Royal St. George's today for a round you'll remember for a lifetime. 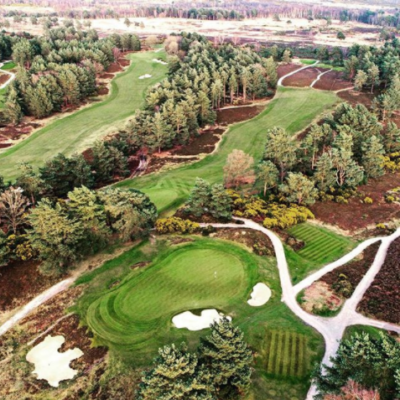 The new Sunningdale course is almost 100 years old now and has certainly improved with age. It is now renowned as one of the finest courses in the UK, and is well worth a visit to get a round in. There is a diverse mix of challenges on the course, and each hole is accompanied by stunning surroundings. Factor in a fantastic club house where you can grab refreshments afterwards, and you are guaranteed a fantastic day out. What are your favourite English courses to play on? Let us know in the comments below! This entry was posted in on February 21, 2018 by Miss Designer Golf. We have launched a whole host of new collections for this year's Spring Summer season. Brand new lines from Green Lamb, Calvin Klein, Under Armour, Cutter & Buck and Puma have all landed and we have picked our favourites pieces for you. This Under Armour pullover is a great layering piece or ideal for keeping warm during those cooler Summer days. The flattering fit is complimented perfectly by the complete comfort provided by the 4-way stretch fabric, which means you'll look as good as you feel on the course. This sleeveless polo has been flying out the door since its arrival. The moisture-wicking fabric keeps you cool and dry while still providing you with a full, uninhibited range of motion. We think this piece is an essential for this year's Summer season. 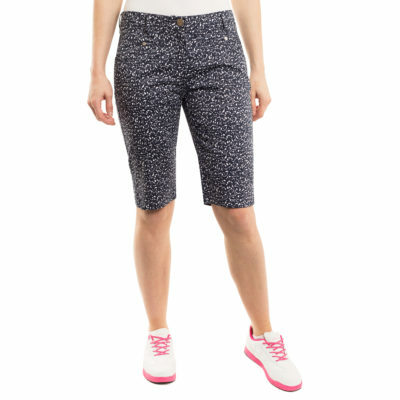 These patterned Bermudas from Green Lamb are a versatile piece that are essential for any Spring Summer wardrobe. They are available in tartan or print and are made of a lightweight, breathable material which make them the perfect pants no matter what adventure you pursue. The Farrah Club Polo is available in six different colour combinations and represents unbeatable value for money. The fit is extremely comfortable and allows for a full range of motion when it comes to teeing off. 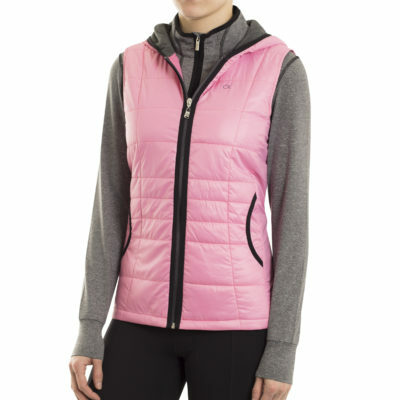 This Calvin Klein gilet hits the mark in both the style and performance stakes. The breathable fabric means you won't be left sweating in the warmer weather, while the windproof and water repellent finish means you'll also be protected if the elements take a turn for the worse. Smart, stylish and it even includes pockets; what more could you want from a skort? The four-way stretch fabric means freedom as you move about the course, while the quality of it means you know this piece will be a trusty, long-lasting addition to your wardrobe. Have a browse through our latest and greatest additions on MissDesignerGolf.com and shop your Spring Summer 18 look today! This entry was posted in on December 14, 2017 by Miss Designer Golf. As the gift-giving season reaches its crescendo, you may be running a little low on inspiration. Thankfully, we've got you covered. Check out MissDesignerGolf's Gift Guide to get you through the final stretch of your Christmas shopping. 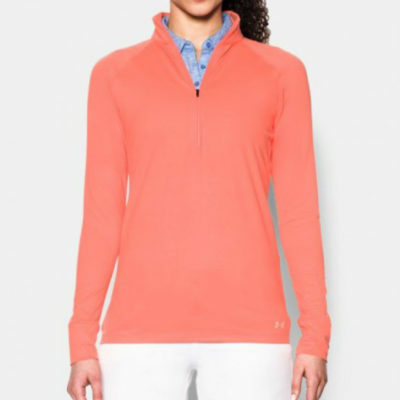 Calvin Klein golf’s Tech Lined Sweater is made from a high-performing, durable yarn blend that allows you to retain a full range of motion while keeping out the cold. This product is a brand new addition to our range for December and is already one of our best-sellers this month, so grab one before it's gone! Also available in black. Click here to shop the CK Men's Tech Lined Sweater now. Cutter & Buck's indispensable short sleeve polo shirt is made from Drytec fabric, which has weathered the test in the most challenging of conditions. 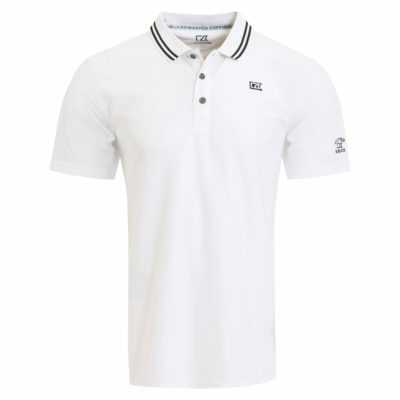 This polo is built to last and also available in a variety of colours. Click here to shop Cutter & Buck's Drytec polo today. This padded jacket from Green Lamb is one of the hidden gems of our collection. 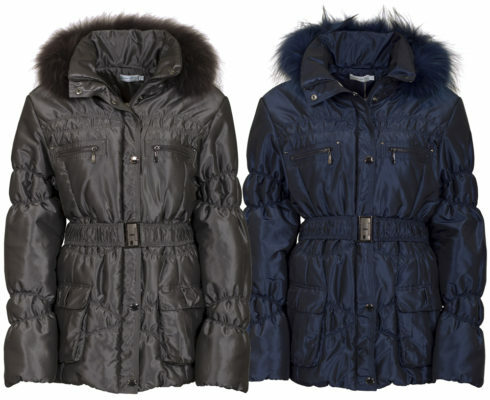 The detachable fur hood and collar and padding will keep you warm and snug while the elasticated belt accentuates the fit. 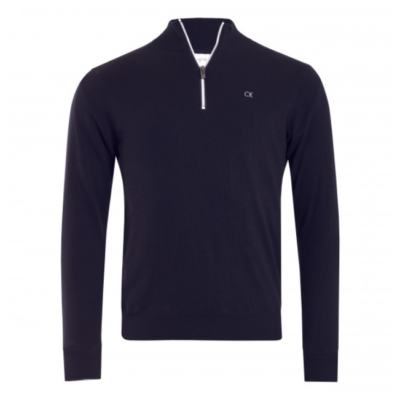 A stylish staple for this winter, and now available at an absolute bargain price. Shop the Green Lamb Janice Padded Jacket by clicking here now. The star of 2017 amongst our customers, the Bella Superwool is a versatile knitwear piece that is perfect for being out and about or simply lounging around. Available in a range of striking colours and long-lasting, it is no wonder these sweaters have been a consistent best-seller since they landed. 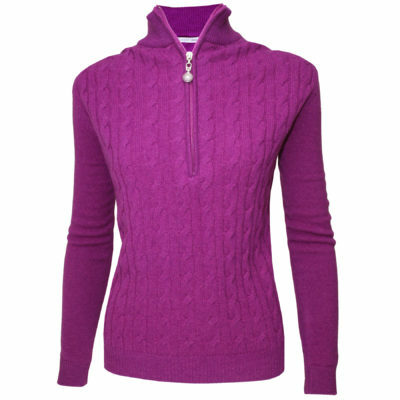 Click here to shop our range of Bella Superwool sweaters now. 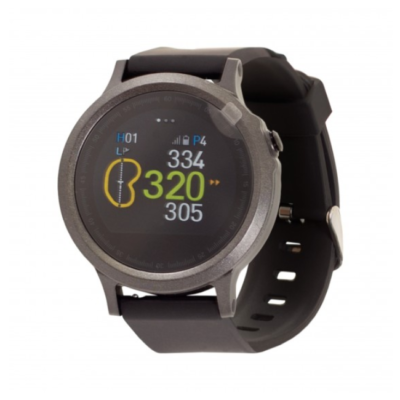 These GPS Smartwatches from Golf Buddy are brand new to our site and make the perfect gift for the golf enthusiast in your life. Not only do they give you a lie of the land and distance reading, but they also track your activity and are pre-programmed with thousands of golf courses from all over the world. 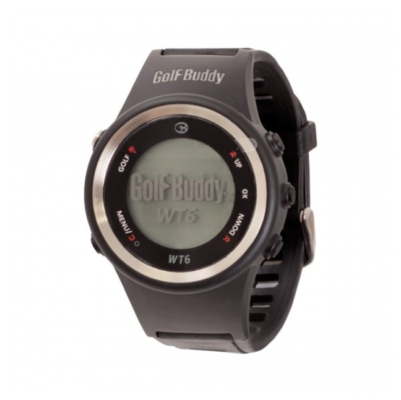 Check out our range of Golf Buddy GPS Rangefinders and smartwatches. The latest version of Calvin Klein's golf bags have proved a massive success. Equipped with six front-facing pockets, two of which are waterproof, this bag will provide all the storage you need and more. It also weighs in at a mere 1.8kgs, meaning no more lugging heavy bags around your favourite course. Available in three different colour options. 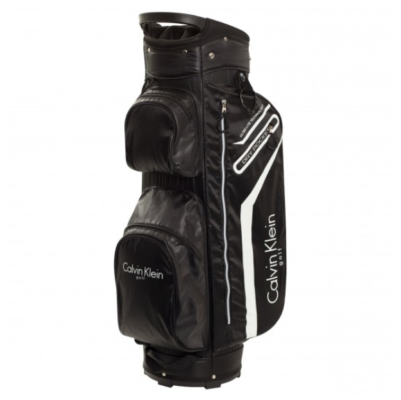 Browse our Calvin Klein Ultra Lite Golf Bags here.